Photo of a great meal in Khao Lak, Thailand. 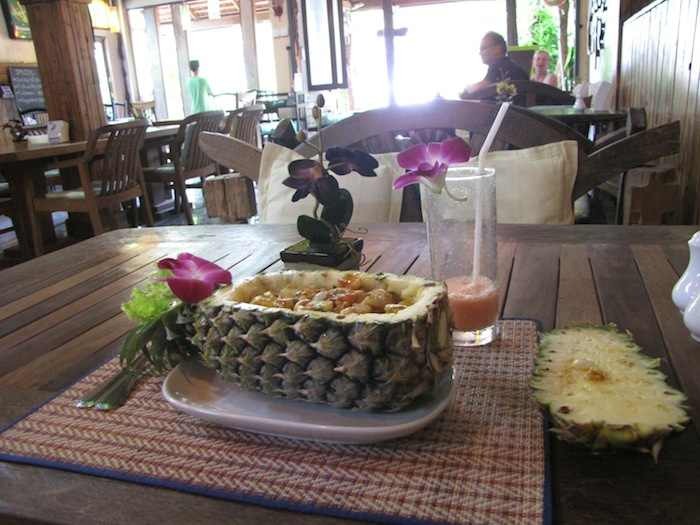 Frankly I ordered it just because it sounded cool to have it served in a pineapple. It was cool, but also tasted fantastic, the orchids on the pineapple and drink are real. Wonderful sunset on a mostly deserted beach in Khao Lak, Thailand, today. Normally my photos of sunsets are washed out and don’t even provide any idea of how beautiful the sunset was. This one is different.